After capturing the first brain images of two alert, unrestrained dogs last year, researchers have confirmed their methods and results by replicating them in an experiment involving 13 dogs. 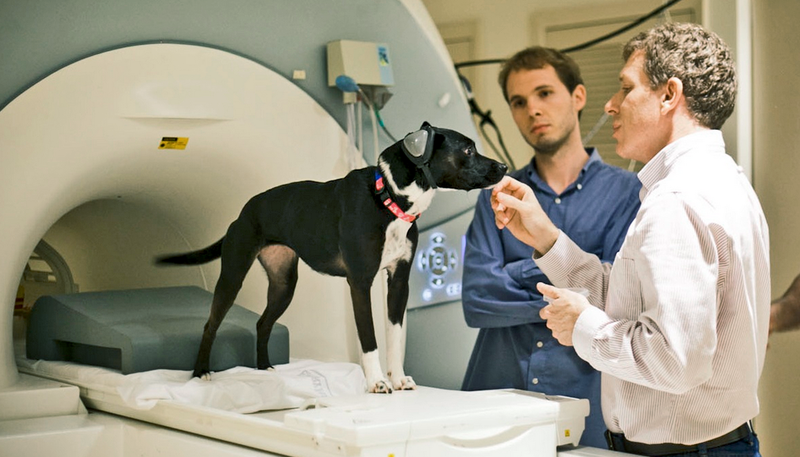 “Our experiment last year was really a proof of concept, demonstrating that dogs could be trained to undergo successful functional Magnetic Resonance Imaging (fMRI),” says the lead researcher Gregory Berns, director of Emory University’s Center for Neuropolicy. Both the initial experiment and the more recent one involved training the dogs to acclimatize to an fMRI machine. The task requires dogs to cooperatively enter the small enclosure of the fMRI scanner and remain completely motionless despite the noise and vibration of the machine. Only those dogs that willingly cooperated were involved in the experiments. The canine subjects were given harmless fMRI brain scans while they watched a human giving hand signals that the dogs had been trained to understand. One signal indicated that the dog would receive a hot dog for a treat. The other hand signal meant that the dog would not receive a hot dog. The most recent experiment involved the original two dogs, plus 11 additional ones, of varying breeds. Eight out of the 13 showed the positive caudate response for the hand signal indicating they were going to receive a hot dog. The caudate sits above the brain stem in mammals and has the highest concentration of dopamine receptors, which are implicated in motivation and pleasure, among other neurological processes. “We know that in humans, the caudate region is associated with decision-making, motivation, and processing emotions,” Berns says. As a point of reference, the researchers compared the results to a similar experiment Berns had led 10 years previously involving humans, in which the subjects pressed a button when a light appeared, to get a squirt of fruit juice. 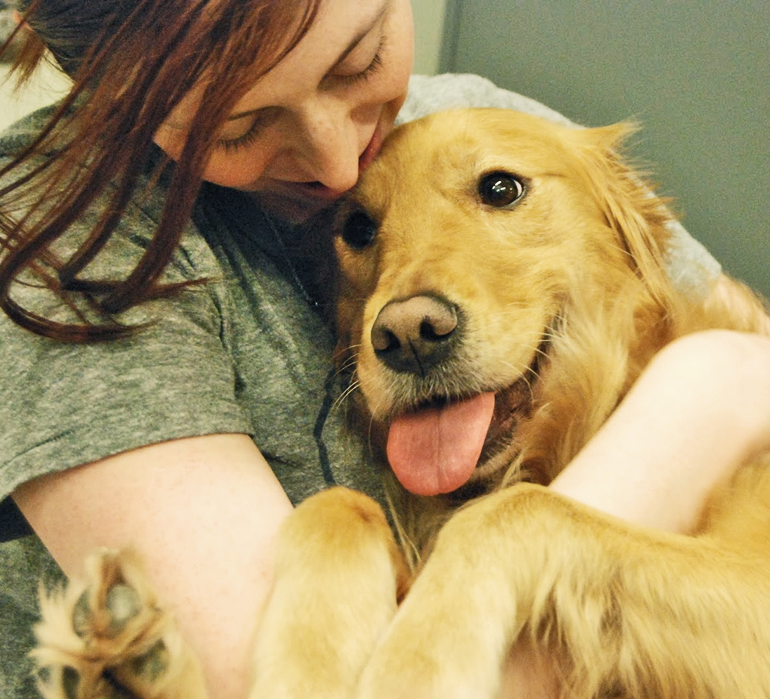 Eleven of 17 humans involved in that experiment showed a positive response in the caudate region that was similar to the positive response of the dogs. “Our findings suggest that the caudate region of the canine brain behaves similarly to the caudate of the human brain, under similar circumstances,” Berns says. Six of the dogs involved in the experiment had been specially bred and trained to assist disabled people as companion animals, and two of the dogs (including one of the service dogs) had worked as therapy dogs, used to help alleviate stress in people in hospitals or nursing homes. All of the service/therapy dogs showed a greater level of positive caudate activation for the hot dog signal, compared to the other dogs. 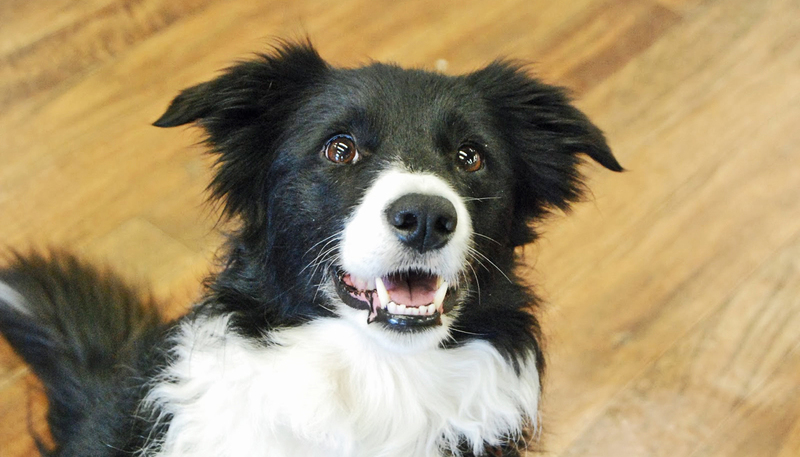 One limitation of the experiments is the small number of subjects and the selectivity of the dogs involved, since only certain dogs can be trained to do the experiments, Berns says. Plans call for comparing how the canine brain responds to hand signals coming from the dog’s owner, a stranger and a computer. Another experiment already under way is looking at the neural response of dogs when they are exposed to scents of members of their households, both humans and other dogs, and unfamiliar humans and dogs. “Ultimately, our goal is to map out canine cognitive processes,” says Berns, who recently published a book entitled How Dogs Love Us: A Neuroscientist and His Adopted Dog Decode the Canine Brain. 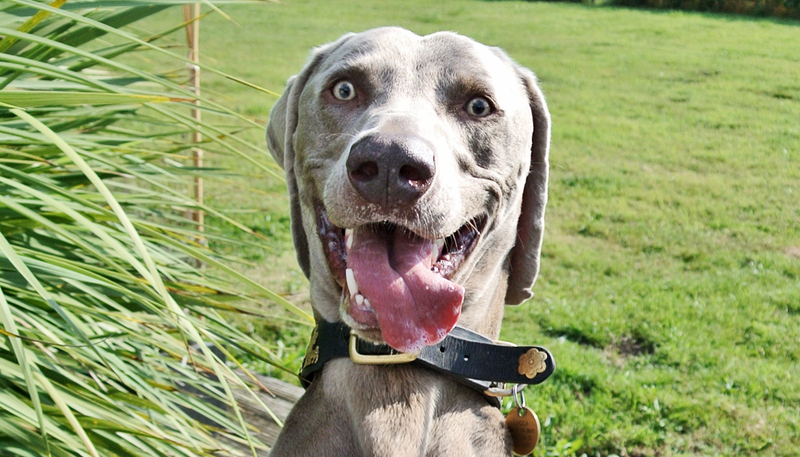 Even in an increasingly technical era, the role of dogs has not diminished, Berns says. In addition to being popular pets, he notes that dogs are important in the US military, in search-and-rescue missions, as assistants for the disabled, and as therapeutic stress-relievers for hospital patients and others. 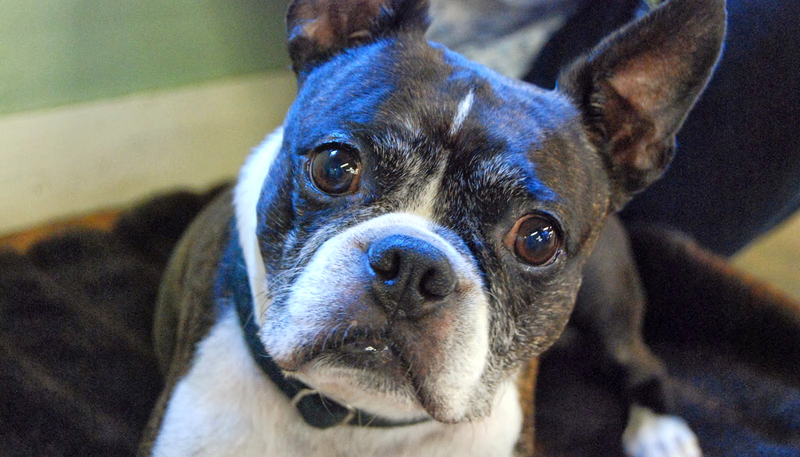 “Dogs have been a part of human society for longer than any other animal,” Berns says. He cites a genetic analysis recently published in Science suggesting that the domestication of dogs goes back 18,000 to 32,000 years, preceding the development of agriculture some 10,000 years ago.